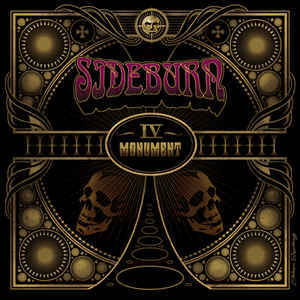 Transubstans is proud to announce the 4th album by Swedish SIDEBURN. The band have gained a solid reputation in the classic rock genre, mixing retro hardrock with todays classic rock sound, appealing to both friends of ZEPPELIN, SABBATH, early SCORPIONS as well as new bands like ALTER BRIDGE. Expect heavy guitar attacks, backed up by a steady rhythm section that we could hear in classic bands such as RAINBOW and UFO. They still possess the doom metal tone, only this time they have expanded their sound – expect a wonderful mixture of classic hardrock, doom metal, progressive hardrock and a dose of blues !! Categories: CD-Distribution, DISTRIBUTION, DISTRO STORE. Tags: Doom Metal, Hard Rock, Stoner Rock, Transubstance Records.